Though the Clemson Tigers were able to secure a national title without his help, the Dexter Lawrence PED saga just took another unexpected turn. 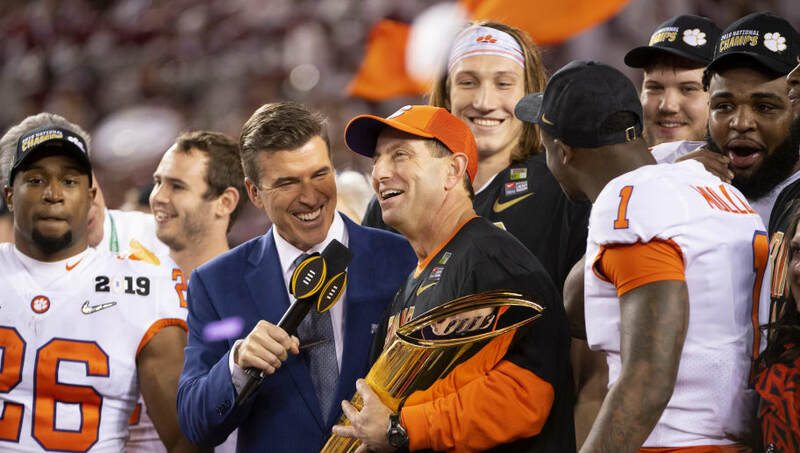 Head coach Dabo Swinney admitted Saturday that it was possible that the team could have mistakenly given their players PEDs prior to the disastrous positive tests. Of course, both the team's strength and assistant coaches have received absurdly large raises in recent weeks. ​​Swinney admitted to the possibility that Clemson could have issued the substances that players Dexter Lawrence, Zach Giella, and Braden Galloway each tested positive for prior to the College Football Playoff Semifinal. Each player was suspended for the postseason after the tests. Such a slip-up could be a bad look for Clemson if it turns out that the steroids did in fact originate from the team. While it most likely won't affect the program's standing moving forward, it casts a pall over an otherwise untainted run. The substance in question, ostarine, is well-known for its lack of the typical side affects, compared to other PEDs. This doesn't necessarily taint Clemson's CFP win, but it certainly continues to cast an ominous light over the football program. As the appeal process continues and the truth unfolds, we can only hope that both the team and the university have stayed honest with the NCAA.